Although David Dodge is best known as a novelist, he also wrote short stories. Various magazines, such as Liberty, Colliers, Blue Book, Esquire, Ellery Queens Mystery Magazine, and Popular Detective, published his short fiction throughout his career. Several of his novels also saw the first light of print in periodicals. 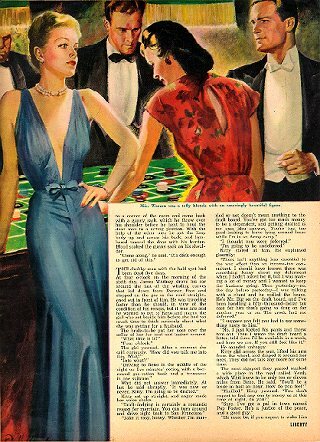 Notably, To Catch a Thief was first published in Cosmopolitan, before it was issued in book form. None of the short fiction has ever been collected in book form. Two unpublished stories, Bermuda Triangle and A Matter of Considerable Interest are among his personal papers.